Dipa Sarkar, M.D., was born in a small village outside of Calcutta (Kolkata), India in 1931. She completed her undergraduate studies at Bethune College, Calcutta and finished her medical degree at the Calcutta Medical College. She began her career as a doctor as a gynecologist delivering more than 600 babies. After her marriage to Anil K. Sarkar, M.D., she changed her practice to pathology, specializing in cancer research. 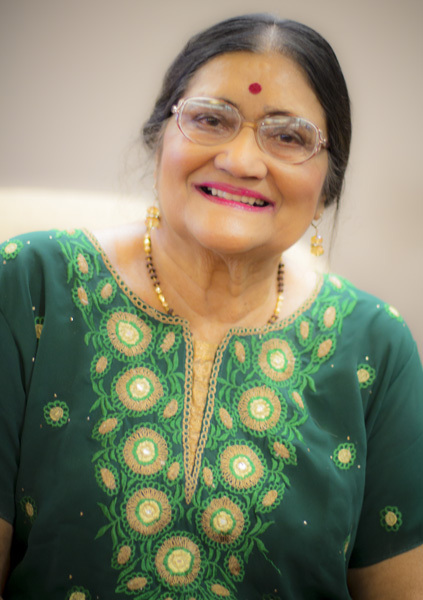 Dr. Sarkar and her husband, Dr. Anil Sarkar, finished their residency in pathology in the United States, and moved to Terre Haute, Indiana in 1969. Dr. Dipa Sarkar worked as a pathologist in Union Hospital and in Clay County and Sullivan Hospitals. While working, she also taught medical and medical technology students at Indiana State University. She helped establish the Planned Parenthood clinic in Terre Haute. She retired from medical practice in 1990. Dr. Dipa Sarkar received a letter of appreciation for her work from President Bill Clinton in 1996. She was also awarded the first Aspire Higher Award given by Saint Mary-of-the-Woods College in recognition of her dedication to volunteer work. Dr. Dipa Sarkar has one daughter, Rumu Sarkar, PhD, a lawyer in Washington D. C.
As a volunteer for the Vigo County Historical Museum, Dr. Dipa Sarkar wrote many biographical articles of important people of the Terre Haute area and other articles of general interest that were published in the local newspaper, the Terre Haute Tribune Star. Sherri Wright contributed several articles to Spectrum (issues 34 and 35 respectively) detailing 200 years of “Historic Hautians” for Indiana’s Bicentennial. This grouping of biographies features prominent citizens of Terre Haute’s past as well as lesser known names who left a large footprint on Terre Haute’s, and the Wabash Valley’s, history. Spectrum is a quarterly publication published by Arts Illiana: the Arts Council of the Wabash Valley. Caroline Peddle Ball was born in Terre Haute on November 11, 1869. Her father had been hired by Chauncey Rose in 1851 as the master mechanic of the Terre Haute & Richmond Railroad. Caroline was the sister of John B. Peddle, later a professor of machine design at Rose Polytechnic and the father of future Terre Haute architect, Juliet Peddle. The family lived on North 9th Street and later at 502 North Center Street. Caroline had her first drawing lesson at Normal Training School and then studied privately with Professor William Ames of Rose Polytechnic (with her friend, Nettie (Janet) Scudder.) The two girls worked together to submit prize-winning exhibits at county and state fairs in Indiana and Illinois. Caroline also studied briefly at the Pennsylvania Academy of the Fine Arts in Philadelphia and the Art Students League in New York under Augustus St. Gaudens and Kenyon Cox. Her work attracted the attention of Tiffany & Company, which employed her on numerous projects, including some of the World’s Columbian Exposition in Chicago. Between 1895 and 1902, Ball lived abroad, first in Florence, then in Paris and Rome. While overseas she created interior decorations for private homes, and monumental sculptures such as her statue of “Victory” for the United States Building at the Universal Exposition in Paris in 1900. Ball was a prolific exhibitor of her work until late in life. Her life-size sculpture of Russian-American actress Alla Nazimova drew tributes at the Philadelphia Academy of Fine Arts. Bird fountains, models of children, cemetery headstones, and decorative street lamps were specialties. Ball presented several prize pieces to Emeline Fairbanks Memorial Library. Some are located the Swope Art Museum. 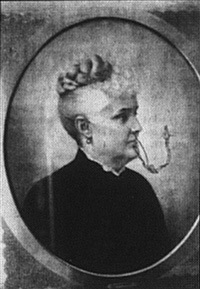 Caroline Peddle Ball spent her final years in Connecticut, where she died at the age of 68 in 1938. Fannie Burgheim Blumberg was born Feb 11, 1894 in Indianapolis, an only child of a watch salesman, Louis, and petite Rachel Heimes Burgheim. She graduated from Madam Blaker’s Kindergarten College (later absorbed into Butler University). During her school years she developed the creative writing skill- that she later demonstrated so well in her later literary works. She taught school before her marriage. In August 1916, she married Benjamin Blumberg; a young lawyer from Terre Haute. They had four children- one son and three daughters. Their home was on a 10-acre farm located at the corner of Fruitridge Avenue and Hulman Street. These were very busy years that left her no time to write and the genius of drawing and painting was not even suspected. After her last child was born- and with much encouragement from one of her friends, who also introduced her to the local muralist, Gilbert Wilson, she thought of her artistic inclinations. Wilson was so impressed with her talents he later described her in this way: “She was like Minerva- she sprang to birth as an artist full blown and helmeted.” She studied painting with Franz Joseph Bollinger and Byron J. Newton in Miami, and in Los Angeles with Sueo Serisawa, a famous Japanese artist who was perhaps her most inspiring instructor. A visit to Art Colony at Woodstock; N. Y., brought her to the attention of an art dealer, Rudolph Fiolic, who brought her to the professional art world and her artistic life began to soar. She worked with oil, water, and allied media. She had a built in sense of color, form, and design. She never painted what she saw, but what she felt. She was bold- she liked strength. She liked big flowers with crisp green leaves. She received her inspirations from her surroundings- trees, birds, flowers and, of course, people. 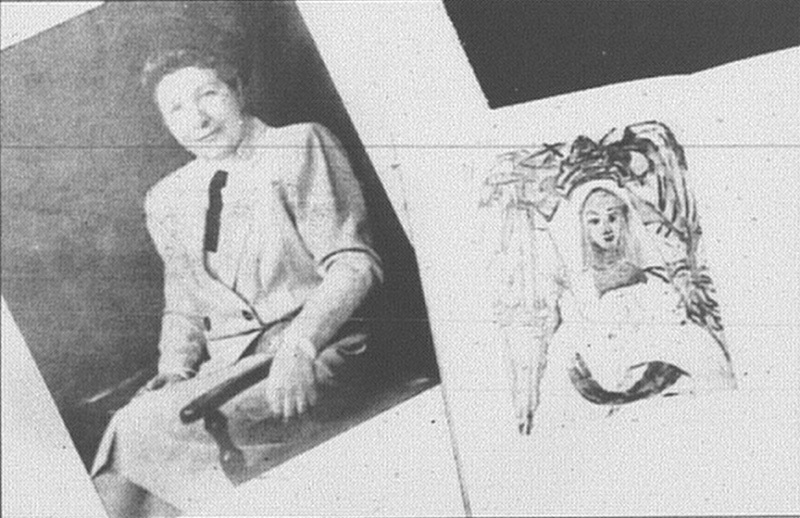 Fannie Blumberg became a nationally known artist and had many exhibitions, both locally (DePauw University, Indiana State University, the Swope Art Gallery) and in faraway places. Permanent collections of her work may be found at the Butler museum at Youngstown, Lowe Gallery at Miami, and in many private collections. Her talents were not only in the area of art, but also in literature. She became an author of children’s stories. Her best known books were “Rowena, Teena, Tot,” “Blackberries” “The Peace Finder” and “The First Circus”. She wrote many other children’s books suited to various ages, plays (a puppet show), poems and even stories for adults. She also left many unpublished manuscripts. She had a kind heart. She was a benefactress of many organizations, apart from DePauw and ISU. She was involved with the Girl Scouts and the mental health center. Her special interest was to help children who were mentally or physically impaired, and those who were disadvantaged. She died at the age of 70 on July 9, 1964, at her home at 4003 Hulman St.
Book gives insight to former mayor’s life. Chalos was born in Terre Haute on June 27, 1925 at 1113 Poplar St. His father, John, came to the United States from Greece at the age 14. His destination was Seattle, Wash, and his train ticket was pinned to his shirt. He got off the train in Terre haute, lost his ticket, couldn’t speak English, and the police took him to a Greek merchant who ran a Country Kitchen at Seventh Street and Wabash Avenue. He operated a hat cleaning and shining parlor at that location from 1910 to 1965. Pete Chalos was one of five children born to John and Katherine Chalos. Growing up, he worked in his father’s store, sold newspapers and worked at Quaker Maid. At Wiley High School, he was a city mile champion in 1944 and a cross country champion in 1945. A Navy veteran and graduate of Indiana State University, Chalos taught and coached basketball and tennis in the Vigo County School Corp. Marriage to Panagiota Angelos “Ulla” brought three children, Jimmy, Johnny, and Kathy. In 1995, Chalos lost the primary election to Sheriff James R. Jenkins and concluded his 16 years as Terre Haute’s mayor. During those years, in addition to his service to the city, he interacted with many leaders on the national level, such as presidents, Jimmy Carter, George Bush, and Bill Clinton. He enjoyed a private conversation with Mikhail Gorbachev and his wife, Raisa. During a political rally for presidential races, he met with John Chancellor and Sam Donaldson. Many other personalities in the world of politics and entertainment became acquaintances. Pictured is a paid political newspaper advertisement used after the mayoral election in 1983. “Growing up In Terre Haute” is a trip down memory lane for anyone who grew up in our community or one of similar size during the 1930’s, 40’s or 50’s. The book is being sold in the Vigo County Historical Museum gift shop. Treat yourself to a copy. 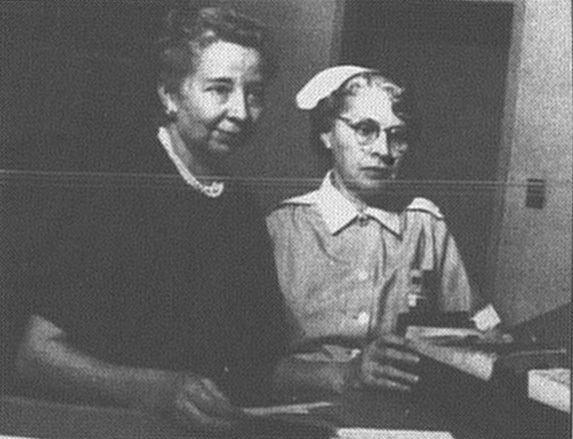 Ellen Church was administrator at Union Hospital from 1952 to 1965. Ellen Church Marshall was born on a farm near Cresco, Iowa, on Sept. 22, 1904. She led a pioneering life that won her international recognition in the fields of nursing and aviation. She was a graduate of the University Of Minnesota School Of Nursing. She also had a master’s degree in nursing administration from the University of Chicago. In the 1930’s, while she was associated with the French hospital in San Francisco, she proposed to United Airlines the idea of having women as stewardesses on passenger flights. That is the way the “sky girls” came about on May 15, 1930. Boeing 80A had its first flight with a woman stewardess (Ellen), 15 passengers, a pilot and co-pilot. As an officer of the U.S. Army Nurses Corps between 1942 and 1946, she served in Africa, Europe and the U.S. She served 20 months evacuating wounded soldiers from the front lines. She was the first woman to receive the Air Medal, EAME Campaign Medal, American Theatre Campaign Medal, Victory Medal, and seven Bronze Stars. After 18 months as chief stewardess, she was grounded because of an auto accident injury but continued her activities as a registered nurse. She became an administrator of Union Hospital in Terre Haute in 1952, a tenure that ended in 1965. She instituted many progressive measures that brought full accreditation of the hospital. She improved working conditions, added the North Wing and a modern psychiatric ward. Her local activities were numerous. She was the president-elect of the Women’s Service League. She had been very active in the American and Indiana nurses associations, Vigo County Civil Defense Council and the Federation of Mother’s Clubs of Boy Scouts, of which she was president in 1962-63. She was also a member of the Vigo County Mental Health Association, which honored her for her outstanding contributions. In the last year of her life, she married Leonard Marshall, president of Terre Haute First national Bank. Only 11 months later, on Aug 27, 1965, she died from injuries suffered from a riding accident and thus ended a heroic life. In the reception room of Union Hospital, there is a bronze plaque paying tribute to her as a humanitarian, war heroine, and aviation pioneer. She also received an ‘Aviation First” award. The Ellen Church Marshall Memorial, an eight story wing of United Airlines Stewardess management Center near Chicago’s O’Hare Airport, was dedicated in her memory. United Airlines also contributed $25,000 to Union Hospital in her memory. 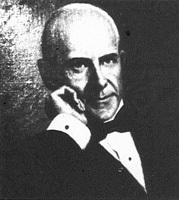 Much has been said and written about Eugene V. Debs, an extraordinarily gifted man who was in so many ways so far ahead of his time. He was without a doubt the father of the industrial unionism in this country, although the concept was not firmly established until after his death. As a labor organizer, his talents bordered on genius. He helped build the railway unions into a powerful economic force. He was a writer, lecturer, passionate advocate of the under-privileged- the hero of millions of working people throughout the world. Terre Haute has been blessed with this illustrious son-Eugene Victor Debs, who was born in 1855 in this frontier town of 6,000. His father, Jean Daniel, and mother Marguerite Daisy, immigrated to the United States from the Alsace region of France. His bookish father named his son after famous authors Victor Hugo and Eugene Sue. His parents ran a small grocery store from the front room of their house which brought them a modest income. There were four sisters and two brothers, and they all learned to speak French and German from their parents. In 1879, when Eugene was 14, he left school as it bored him and, being the first son, he had to earn money to help the family. He always loved railways. He found a painting job and then a night fireman’s job in a 70 mile stretch from Terre Haute to Indianapolis. It is here he learned all of the hardships and dangers of the railway men. Late in 1874 he gave up but never lost fascination for railroad life. He became a billing clerk in Terre Haute. He went through many different positions such as secretary of the Masonic Lodge, Vigo Lodge No. 16- a benevolent organization concerned with group insurance plans, railroad workers pay, safety measure and hours of work. He was editor of the lodge newspaper, The Magazine. He was also elected city clerk. In 1885 he married Kate Metzel, daughter of a prominent druggist. They did not have children. Their relationship was described as cordial, but she did not approve of his activities. There was a strong presence of another lady- his neighbor, Mabel Curry- whom he described as “Juno the divine.” She was very loving. She visited him in jail when his wife, Kate, did not. In 1890, Eugene and Kate moved to their lovely home at 451 N. Eighth St., which now is a national historical landmark and headquarters for the Debs Foundation. He helped found a social democratic party and ran as their nominee for president of the United States in 1900, 1904, 1908, and 1912, and also in 1920 by acclaim while in prison. He was a pacifist and when war broke out in 1914, he protested violently. In June 1918 in Canton, Ohio, Debs was charged with violating an espionage act and spent time in an Atlanta prison. After his release, he lived with Kate about six months, but his health was broken. He died Oct. 20, 1926, in Lindlahr Sanatorium just outside Chicago; Highland Cemetery of Terre haute bears a simple marker where his ashes were interred. Debs is remembered as the brightest star of American Socialism. He fought for ideals such as voting rights for everybody, civil rights for women, national health insurance, bargaining collectively and the right to strike. Terre Haute is certainly blessed with this illustrious son who lighted our paths more than a hundred years ago. A visit to his home with all the memorabilia, documents and pictures bearing his rich legacy will be a worthwhile experience. In discussing Demis Deming Jr., great pioneer of Terre Haute, it is only fitting that I start with his illustrious father, Demis Deming Sr., a judge. He was born in 1787 in Wethers Field, Conn. His father, Captain Seth Deming (1748-1827), served with great distinction in the American Revolutionary War. Demis Deming Sr. was the sixth in the line of descent from John Deming who came from England and settled in Connecticut. During the second war with Great Britain, Demis Sr. joined the army. At the end of the war, he resigned his commission. He was looking for his career in business and for awhile settled in Baltimore, but was attracted by the newly-opened west. When he moved to Terre Haute in 1818, he opened a dry goods store where “Clark House” stood at the corner of First and Ohio. At this time, Terre Haute was just a sleepy town with a few log cabins. But he was a man of vision, who knew prosperity would follow. He began to buy lands, the first of which was recorded in 1819, and eventually acquired a large land empire. He worked on the public highway and served as a judge of elections. He helped build the first courthouse. In 1822, he represented Masons in Grand Lodge. He was an associate judge for several terms. He became the first president and held the position for the next 18 years. In 1849, he married Sarah Patterson, who also came from another illustrious family of Pennsylvania who immigrated from Ireland. In 1814, her father, Arthur Patterson relocated to Vincennes and then to Parke County, where they were married. 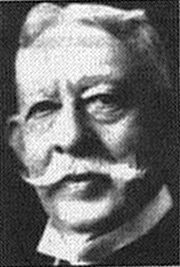 They had four children, the first being Demis Deming Jr. (1841-1922), who played a vital and leading role in the progress of Terre Haute. He was educated in local schools and Waveland Academy. He joined his father’s banking business at 16 and was known as “Boy Banker.” He married Mary B. Floyd and after her death in 1893, he married Lillian R. Lohrmann, a widow with a daughter. He had no children in either of these marriages but he had a very loving relationship with his step-family. He was a very able businessman and acquired vast amount of lands, which his father started. He became the president of Deming Land Co., vice president of Terre Haute Savings Bank and Terre Haute Gas Light Co. When Rose Polytechnic Institute was founded in 1874, he became treasurer until his death. He had great friendships with important people and philanthropists of this area like Rose, Wiley, and others. Demis Deming Sr. built his homestead on a very large lot at the northeast corner of Sixth and Poplar. A part of this square was sold to the school board, where Wiley High School was built, but the best part remained where the Methodist Church and YMCA were built later. The largest city park of Terre Haute was named Deming Park, which was dedicated on July 23, 1921, in honor of Demis Deming Sr. The park has a total of 177 acres of land, which was sold by the family with all proceeds going for creation of Ohio Boulevard. The remaining money was donated to Rose-Hulman Institute. The Demis and Sarah Deming memorial dormitory was the first residence hall constructed in 1926. Deming Street, a school, a former hotel and Deming Woods all bear the name of the generous family. His father moved here with great pioneer spirit. With hard work, vision and hope, he helped shape this sleepy village to a prosperous city of today. His worthy son carried out his unfinished dream into reality, not only for his own family, but also by guiding others through his generosity, dedication, and philanthropy. Theodore was born in Terre Haute on Aug. 27, 1871, to a German-Catholic immigrant father and a Mennonite mother. He was next to the youngest of 10 living children. His childhood was characterized by poverty, instability, and lack of supervision. In young Theodore, these influences made a deep impression, which was very much reflected in his later writings. His early education started in St. Benedict’s School in Terre Haute and his formal education ended with a year at Indiana University. His writing career began as a newspaper reporter in several major cities. He was drama editor for the St. Louis Republic and editor-in-chief of Buttrick Publications in New York. Childhood deprivations, frequent uprooting’s and insecurities kept him emotionally dependent on women, but he could never trust them. He was always seeking their unconditional love. He married Sara Osborne White, a school teacher from Missouri and divorced her 11 years later. For the next years he lived with his mistress, Helen Richardson, an actress whom he married only a year before his death. He had no children. When his first novel, “Sister Carrie”, modeled after one of his sisters, was published in 1900, only 450 copies were sold but it rocked the literary world. It was condemned as immoral and shook the very foundations of Victorian Puritanism present at that time. It was not republished until 1907. After that he wrote many novels, such as “Jennie Gerhard” (1911), “The Financier” (1912) and “An American Tragedy” (1925), two others, “The Bulwark” (1946) and “The Stoic” (1947) were published posthumously. He also wrote an autobiography “Dawn” (1913) and other essays and sketches. Dreier’s hardship years and chaotic environment in childhood made him a very perceptive and sensitive individual. His portrayal of people and society separated by wealth and poverty, strength and weakness shaped a new direction in American literature. This realism paved the way to new classics like Steinbeck’s “Grapes of Wrath”. By the late 1930s his support of radical causes prompted the FBI to classify him as a dangerous and subversive individual. But as an American writer, he understood the social machine and was more than a chronicler of social forces. He was a literary pioneer- a bridge between Victorian prudery and modern sensibility. If he had not published anything but “Sister Carrie” he still would have a unique place in American literature. In 1930 he narrowly missed the Nobel Prize to Sinclair Lewis. Two of his novels, “Sister Carrie” and “An American Tragedy” were dramatized in movies, which brought him widespread recognition and popularity. In 1944, he was awarded the Merit Medal for fiction by American Arts and Letters. 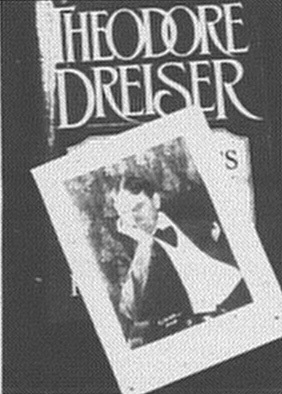 In adult years, just as in childhood, Dreiser lived many places but finally settled in southern California, where he died of a heart attack Dec. 28 1945. On display: A model of a memorial to Paul Dresser can be seen at the Vigo County Historical Museum. This little treasure—a miniature model of the Paul Dresser Memorial Park entrance—is carefully and neatly tacked away in the attic at the Historical museum of the Wabash Valley, along with countless other invaluable treasures. Paul Dresser was born in Terre Haute to Paul and Sara Mary Schneppes Dreiser on April 22, 1858 (as recorded in St. Joseph Church baptism records). He died in 1906 and was buried in St. Boniface Cemetery, Chicago, by the graves of his parents. His grave was unmarked 16 years, but now a large boulder with a metal plate marks the resting place of this great songwriter and famous son of the Wabash Valley. His most famous song was “On the Banks of the Wabash,” adopted as the state song by the Indiana Legislature in 1913. He also communicated to Governor McCray the family’s wishes that a memorial be erected in Terre Haute and no where else (Lafayette was another choice then). Gov. McCray signed the proclamation on April 24, 1922. 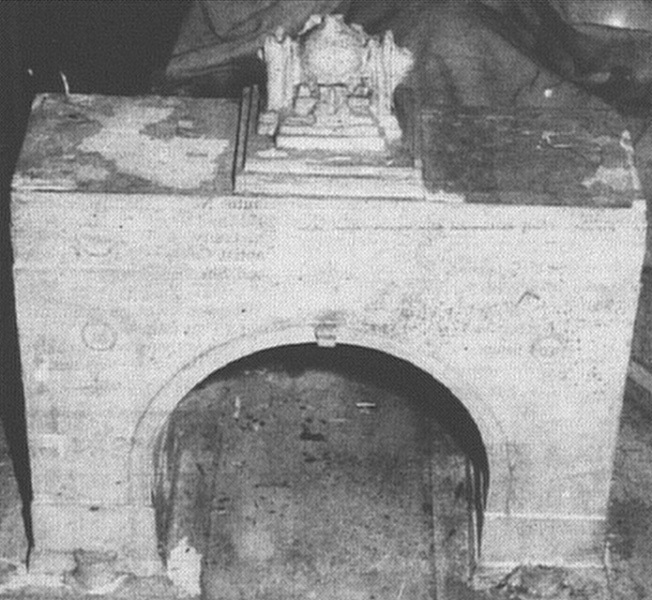 By 1931, the memorial remained a vague idea. The memorial association worked rigorously with an idea of improving the river front and building a Paul Dresser Memorial Park and Drive. They raised $30,000 to erect the memorial at the west entrance to the city with two huge candle lights and an arch. On Jan. 29, 1941, the Terre Haute newspaper wrote enthusiastically about the first phases of development and landscaping. The idea of the park appeared to be a very good one. Since it was placed near the school, the Dresser playground was full of children very happy with the supply of equipment provided by the memorial association. In the summer of 1940, the association turned the responsibility over to the Terre Haute Park System. Later, the park system transferred it to the Church Federation with a 25-year lease for the park. However, the park never was completely developed with its original plan of the Paul Dresser Drive, a monument, landscaping, and a park with all recreational facilities. Gradually, through lack of care and supervision, the place fell prey to vandalism. It was removed to make way for the approach to the new river bridge. Whether it was lack of money, interest or local politics, a beautiful dream became only a memory. Only a model of a memorial remains. 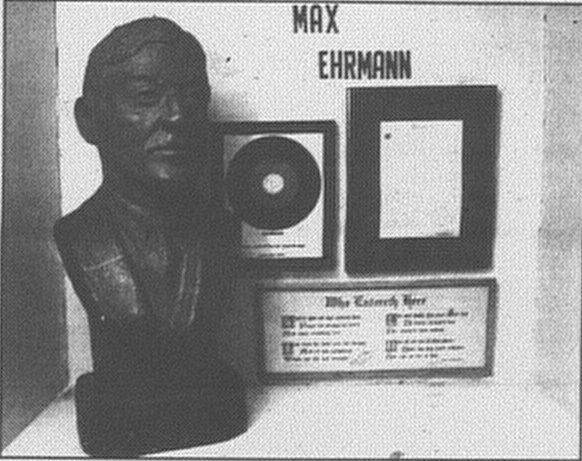 Poet’s corner: A bust of writer Max Ehrmann sits beside framed copies of some of his best known works. Recently we celebrated the 219th anniversary of the independence of our great nation. What prophetic words uttered by this visionary and not too long ago! Ehrmann was born in Terre Haute Sept. 26, 1872 to Max Ehrmann and Margaret Barbars Lutz, their fifth and last child. He graduated from DePauw University and entered post-graduate school of philosophy at Harvard, specializing in law and philosophy. There he met another famous Terre Hautean, Eugene Debs. Returning to Terre Haute, he worked as Vigo County prosecutor and had to interact with society’s hardest and most callous people. It was a very discouraging time for this would-be poet.
. After working 10 years for his brother, at the age of 40 he retired to devote all his time to writing. He lived at 903 S. Sixth St. for the rest of his life. There he wrote most of his 22 books poems and other literary works. Ehrmann’s poems, “Desiderata” and “A Prayer” received worldwide acclaim. However, at one time some controversy arose over the authorship of “Desiderata” when its source was erroneously traced to “an anonymous manuscript” dated 1692 found in old St. Paul’s Church in Baltimore, Md. The work was written by Ehrmann in 1926 and was copyrighted in “Terre Haute in 1927. He did not marry his devoted friend of 40 years, Bertha Scott King, until three months before his death on Sept. 9, 1945 at the age of 72. After his death Mrs. Ehrmann published four books of his later works. She also edited a book of his poems, his biography and his journal. Most of his original manuscripts and scrapbooks were placed in DePauw archives by his widow. A bust and selection of framed poetry by max Ehrmann may be seen near the front of the stairs of the lower level of the historical museum at 1411 S. 6th St.
On display: A portrait of Clara Fairbanks hangs in the Victorian Parlor on the Vigo County Historical Museum’s second floor. Clara Collett Fairbanks was born Aug. 14, 1840 to Stephen and Sarah Collett and was the youngest of nine children. Her father was a state senator representing Vermilion and Parke counties. She lost her father when she was 3 and her mother when she was 12 years old. She was raised by a loving aunt, Susana Flanders. Her father left a large fortune and Clara was able to attend the Porter School and the Episcopal Seminary known as Agnes Hall. She was married to a local, very successful businessman, Crawford Fairbanks, on Dec. 31, 1872 and lived on Cherry Street. They had only one daughter, Sarah. Clara was deeply religious, devout woman and lived a very simple, but busy life. She was always interested in women’s causes and particularly their health. She involved herself in many charitable organizations and donated a large amount of time and money, much of which was never made public. In 1996, the home was demolished and a women’s health center was established in the building formerly occupied by the pathologist, Dr. Leon Blum. It was named Clara Fairbanks Women’s Health Center in honor of Clara Fairbanks for her lifelong dedication to women’s health and needs. The facility is now housed within the Hux Cancer Center. This new center has all the modern facilities to serve the needs for health care, particularly breast cancer diagnostic care. Clara’s compassion, dedication and generosity of heart still lives on in the women’s health care facility. Union Hospital marked the site with a memorial wall containing the original cornerstone. Portraits of Clara and Crawford Fairbanks hang in the Victorian Parlor on the Vigo County Historical Museum’s second floor.